Your computer is a multitasking device. You can play music while surfing the net. And while doing so, you can also make use of other applications like photo editing and the like. It only shows that your computer is a device that can help you fulfill so many tasks whether you are a student, office personnel or an ordinary person. 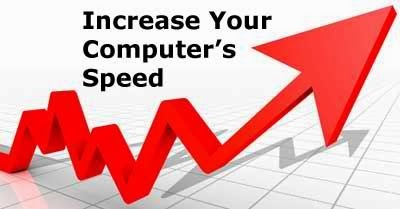 After spending long hours of using each and every application in your computer, there are instances wherein your computer will start to become slower in response to every application and you have to do something about it. Minimize icons on your desktop. Leave space for the hard drives. These are just a few of the things you might want to try if you would like to increase the speed of your computer. With wise use of your gadget, you will be able to produce so many outputs. If your computer is quick in responding to your commands, you can finish a lot of things in a short period of time. Maintenance is so important in your computer. If these ways are not effective anymore, you can have your computer optimized by means of upgrading its components. A good technician can do this for you and it is important for you to learn also how to repair. This will lessen your burden in spending money as payment for every repair.